Pen-Y-Bont Aikido Club (part of the Shin-Gi-Tai Aikido Society) is a Martial Arts club in the Bridgend area of South Wales that teaches traditional Aikido techniques following a structured and varied syllabus. 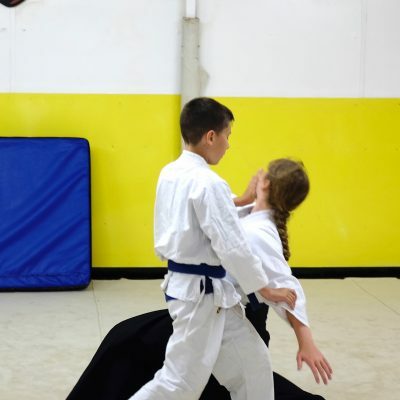 The club is based at the Dojo in Cefn Coed Lane, Cefn Glas, Bridgend and trains three a week – Adults and children over 10 – Tuesdays at 7:30pm to 9pm and Thursdays 7:30pm to 9:00pm. Juniors (6 years and above) – Saturday 10:30 to 12:00. 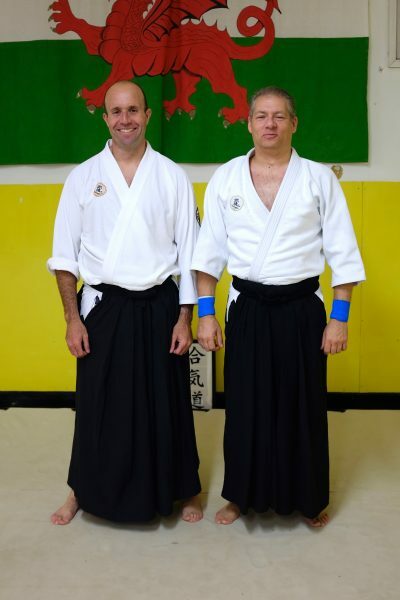 We are unique in the Bridgend area as we are fortunate enough to train at a bespoke dojo that is permanently matted. This includes a traditional canvassed mat area that is superb for training and negates the need to put down and put away mats at the start and end of training. 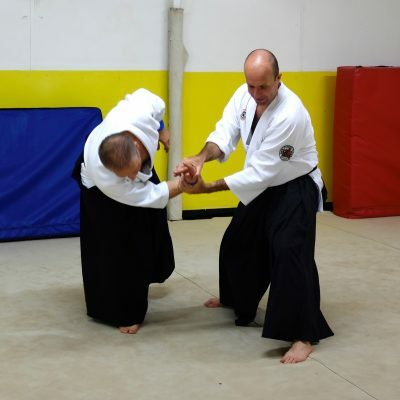 Pen-Y-Bont Aikido is a welcoming and inclusive club that embraces the concept that learning must be enjoyable. 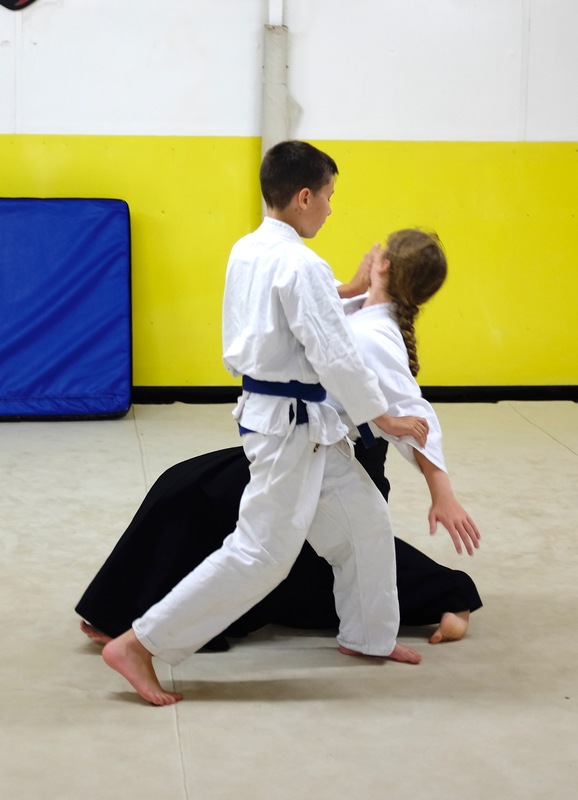 We observe the etiquette of a traditional Japanese martial art but do so whilst acknowledging students’ individual learning needs. Students are encouraged to explore the concepts taught and to ask questions. Both Sensei Martin Williams and Sensei Bryn Powis acknowledge that learning never stops and constantly seek self improvement. This is reflected in their teachings as new techniques and concepts are learned and subsequently taught. 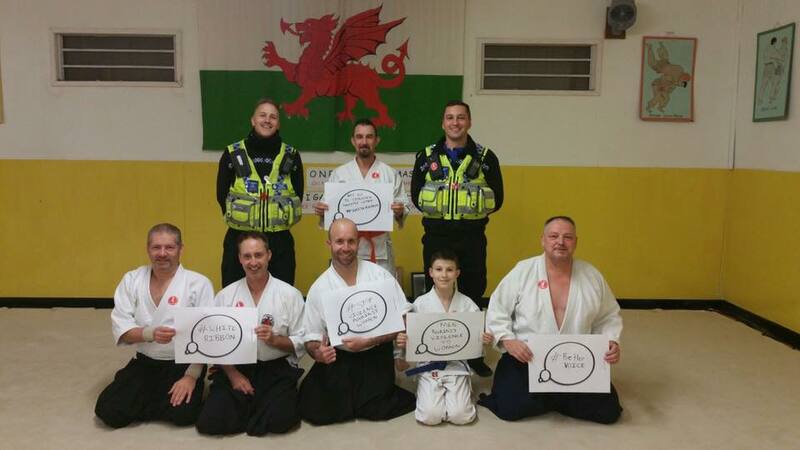 Pen-y-Bont Aikido supporting the South Wales Police campaign to stop domestic violence. 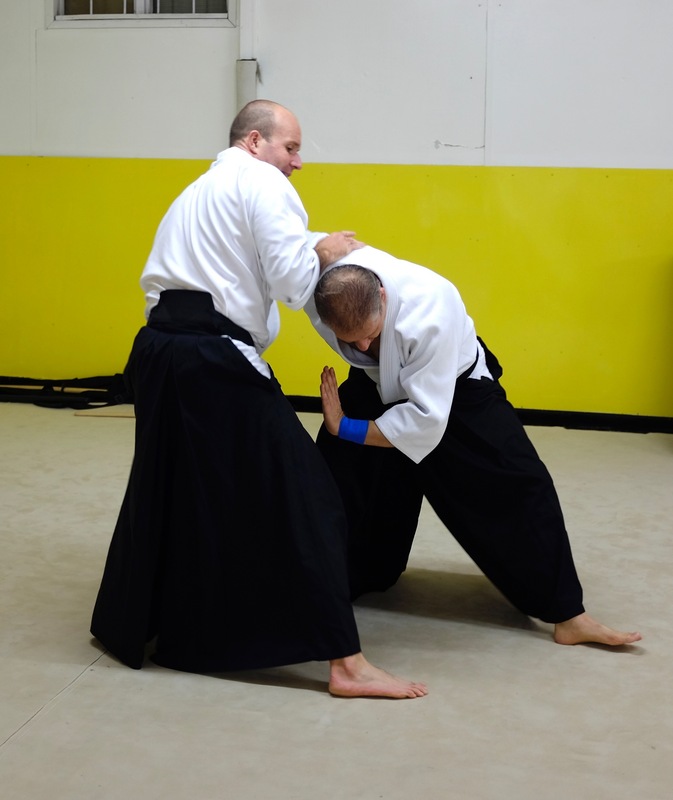 Aikido is a very effective martial art for self defense, not only because it teaches us how to defend against a variety of attacks, but because it is also training our state of mind and physical condition. Improved posture and breathing helps us understand our bodies; a positive state of mind affects how we behave in the world and how we are perceived by others. The ability to maintain physical center and mental calm helps us deal with stressful situations or resolve conflicts in a variety of situations. 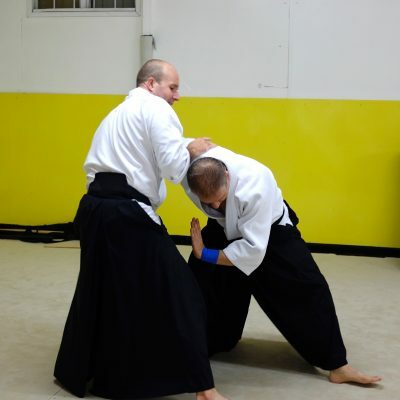 Aikido also helps us develop our spirit, sense of well-being, awareness and compassion. 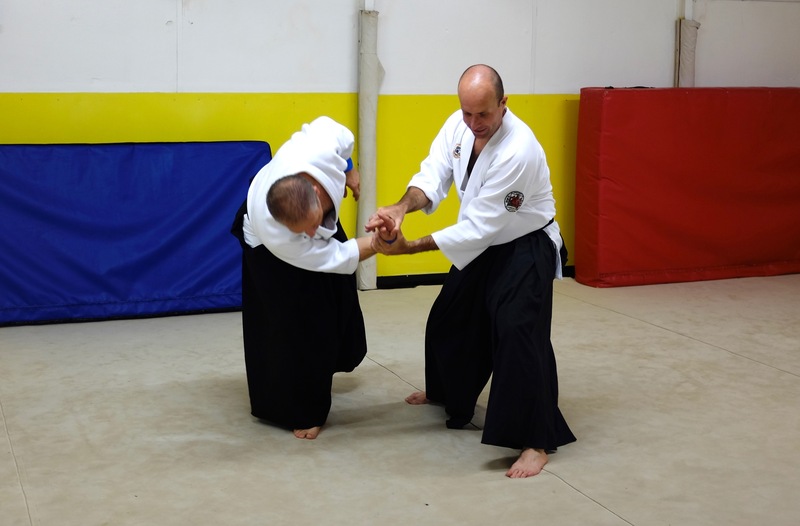 The multi-faceted approach to Aikido training makes us stronger and more complete human beings, better able to diffuse or defend against negative situations. Come along and have a look and see what we do.